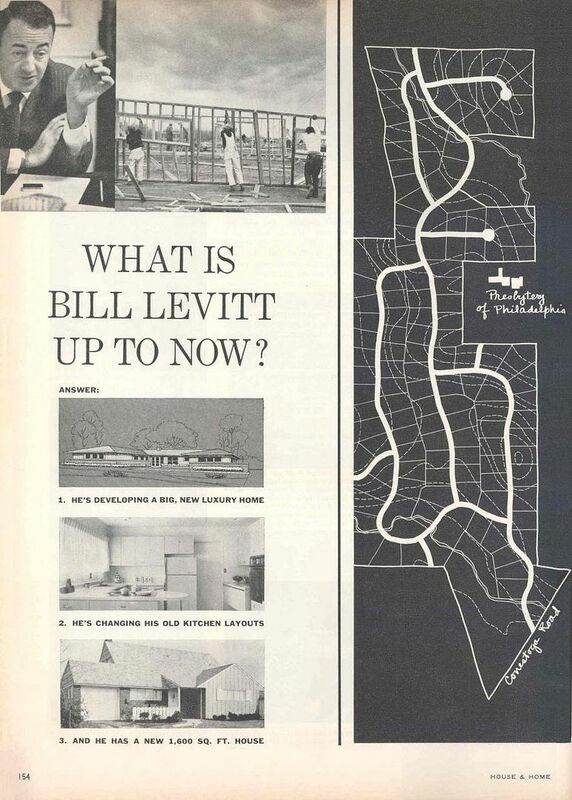 Beaupre was to be Levitt's upscale community located on the site of the former Beaupre Estate on Philadelphia's Main Line. The mansion now serves as the Presbyterian Children's Village in Rosemont Presbyterian Village, a reitrement community established by the Presbytery of Philadelphia. R O S E M O N T , P A . Location: Rosemont area of Radnor Twp., Delaware County, Pa. Constructed by Levitt and Sons, Inc.
Open for sales in 1957. Community located in the Rosemont section of Radnor Twp. off Conestoga Road adjacent to the Blue Route (Route I-476). Site graded, streets and 2 sample homes constructed. 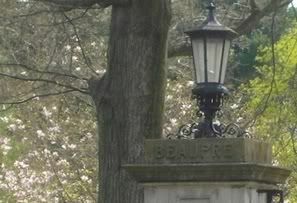 Official web site for the Township of Radnor. 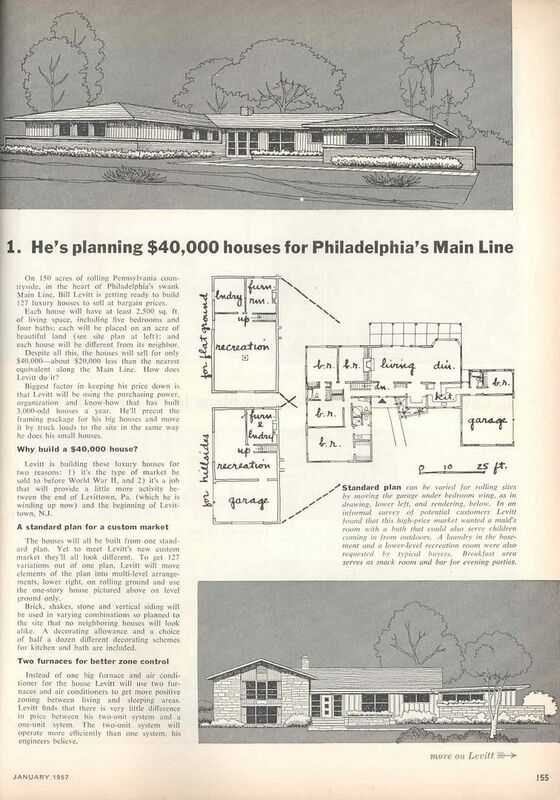 Levitt's new homes were profiled in the January 1957 issue of House and Home magazine. Of the 127 homes planned, all were to have the same basic floor plan, while the homes would have significantly varied exteriors. In addition, the basic ranch plan would be adpated to a split-level plan for sloping homesites. Page last revised 3 March 2013.